I enjoy talking to people on line through the kinds of discussion forums many of us have used for twenty years or so. I also know that face to face discussions are always a lot more useful even when–and perhaps especially when–we disagree. Now, we can come close to those face to face discussions because we can meet via any of a number of video streaming services. So, every Monday, I will be holding online “office hours” from 4-5 PM in my home time zone in Washington DC using Facebook Live. If you want to join the discussion, click here. I can hold video discussions at other times using www.zoom.us. Just let me know when you want to have what professors call office hours by appointment. I will be available for discussions using Facebook Live every Wednesday from 3-4 PM Washington DC time. You can talk about anything regarding wicked problems, comparative politics, or peacebuilding. Like many of us in the peacebuilding world, I have a zoom.us account which lets me host full videoteleconferences for a small monthly fee. We can use Zoom in two ways with this site. To arrange either one, just send me an email . We can schedule one on one (or small group) discussions using Zoom. 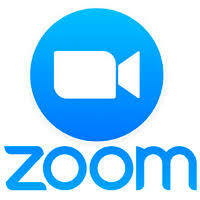 Unlike Skype or Facetime, Zoom lets us do things like share screens,, record sessions, and even have chat sessions. Assuming you have access to a classroom or other venue that has internet access and a big enough screen, I’m glad to use Zoom to make a formal presentation to your group. Of course, I’d rather come visit live, but that may not be possible. This is a good second-best alternative.